Firstly Ronnie’s Mum and Dad came over for a weekend and worked their magic on another section of the garden, they transplanted a few of my plants that have been in pots for the last few years into the ground, and they seem to be much healthier for it (the plants, not the parents…or maybe both?!) They also ridded another section of the garden of several feet of weeds, we’ve since put down more plastic in an effort to keep them at bay. The areas that we covered earlier in the year appear to be working well when we’ve peeked. We’ll leave it in place until Spring and hope it works, failing that we’ll have to go nuclear. 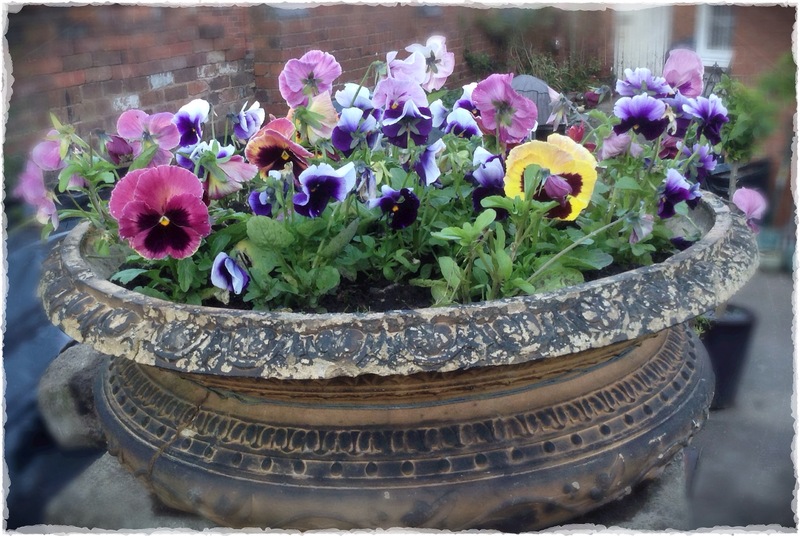 We planted pansies in one of the containers left behind by the previous owners. 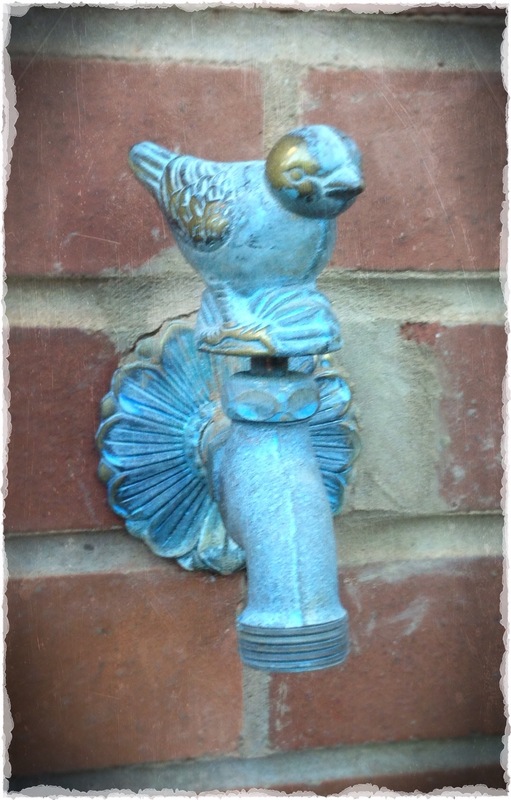 And finally, we had an outdoor tap fitted, I brought this lovely little bird tap from my old house…it was a gift from Spain…Tweet! 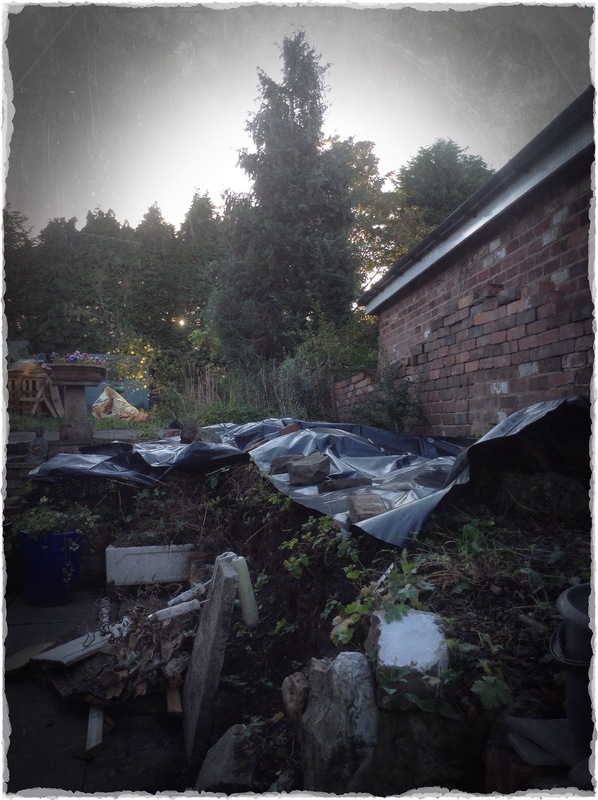 This entry was posted in Outdoors and tagged bird tap, DPC, garden, pansies, tap, weed control by ladylansdowne. Bookmark the permalink. I love the bird tap! I also have a similar one lying around somewhere … it was a gift, but the spigot I wanted to use it on no longer worked. I should dig it out. Ditto the love for the bird tap! Thanks all, perhaps I should go into business in bird tap import / export! I’m glad you like it, it’s been full of weeds since we moved in, so it’s quite cheery to see it planted up.